Hanley, S. (2015). Review Essay All Fall Down? The Prospects for Established Parties in Europe and Beyond. 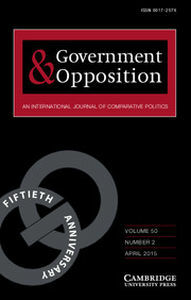 Government and Opposition, 50 (02), 300-323. Hanley, S. (2013). The Development of Pensioners’ Interest Organisations in Central and Eastern Europe: A Comparison of the Czech and Slovene Cases. Europe – Asia Studies, 65 (1), 45-74. Hanley, S. (2012). 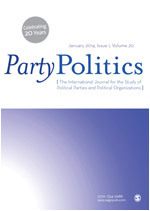 Dynamics of new party formation in the Czech Republic 1996-2010: Looking for the origins of a ‘political earthquake’. East European Politics, 35 (4), 119-143. Hanley, S. L. (2010). 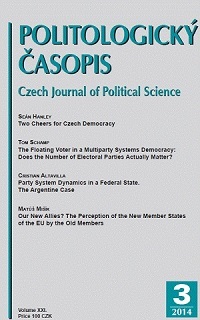 The consolidation of centre-right parties in the Czech Republic as an issue for comparative analysis. Politologicky casopis/Czech Journal of Political Science, XVII (2), 115-132. Bale, T., Hanley, S. & Szczerbiak, A. (2010). ‘May Contain Nuts’? The reality behind the rhetoric surrounding the British Conservatives’ new group in the European Parliament. Political Quarterly, 81 (1), 85-98. Hanley, S., Szczerbiak, A., Haughton, T., & Fowler, B. (2008). Sticking Together: Explaining Comparative Centre–Right Party Success in Post-Communist Central and Eastern Europe. Party Politics, 14 (4), 407-434. Hanley, S. (2004). A Nation of Sceptics? : The Czech EU Accession Referendum of 13-14 June 2003. West European Politics, 27 (4), 691-715. Hanley, S. (2004). Blue Velvet: the Rise and Decline of the New Czech Right. Journal of Communist Studies and Transition Politics, 20 (3), 28-54. Hanley, S. (2004). From Neo-Liberalism to National Interests: Ideology, Strategy and Party Development in the Euroscepticism of the Czech Right. East European Politics and Societies, 18 (3), 513-548. Hanl ey, S. L. (2004). Getting the Right Right: Redefining the Centre-Right in Post-Communist Europe. Journal of Communist Studies and Transition Politics, 20 (3), 9-27. Szczerbiak, A., & Hanley, S. (2004). Understanding the Politics of the Right in Contemporary East Central Europe. Journal of Communist Studies and Transition Politics, 20 (4), 1-17. Hanley, S. L. (2001). Towards Breakdown or Breakthrough? the Consolidation of the KSCM as a Neo-Communist Successor Party in the Czech Republic. Journal of Communist Studies and Transition Politics, 17 (3), 96-116. Hanley, S. L. (2001). Are the Exceptions Really the Rule? Questioning the Application of ‘Electoral-Professional’ Type Models of Party Organization in East Central Europe. Perspectives on European Politics and Society, 2 (3), 453-479. Hanley, S. (1999). The New Right in the New Europe? Unravelling the Ideology of “Czech Thatcherism”. Journal of Political Ideologies, 4 (2), 163-189.